Do Home Improvements Really Pay Off? If you’re considering having your house remodeled, I’m sure you’ve wondered if it will create a drastic change in your home’s value. After all, that’s probably one of the primary reasons you are renovating your home in the first place. Of course there are projects that you take on that are purely for aesthetics and we like to call them the “feel good” projects. However, if your sights are set on selling in the future (and the driving force behind your home remodel), then it’s wise to do a little research to see how your project, or ideas of projects, that increase the value of your home. 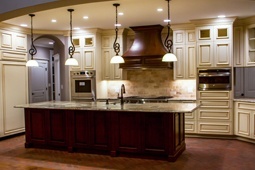 Two of the most common and well known value-adding projects are kitchen remodels and bathroom remodels. These give you the best opportunity on return of your investment. Depending on how well the home remodeling was done and the items that you chose to finish it off, your return on investment could actually be up to 100%. The latest in kitchen storage. Often when people come to remodel their kitchen they concentrate on the aesthetic of the cabinets and sometimes neglect the function. 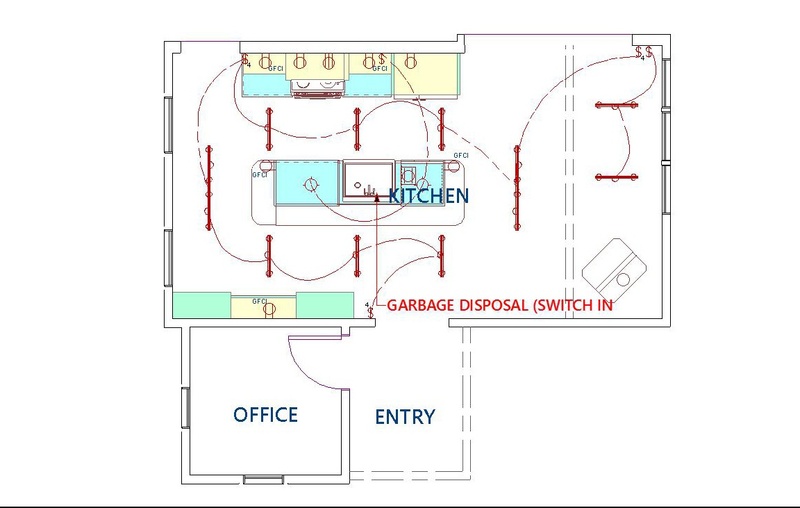 I have seen the scenario play out where you remove every pot, pan, dish and groceries from your cabinets to prepare for all new storage and when the cabinets are installed, and it’s time to put back your stuff there isn’t room for everything. Look beyond the surface when choosing cabinets. Think about how tall cereal boxes are and where you keep them. Consider how you reach for a dish towel when you’re working at the sink or a convenient way to organize that pesky Tupperware. In kitchen cabinet installations of old leaving space between the top of the cabinets and the ceiling, creating a space that does little than provide a prime opportunity for the unfortunate accumulation of clutter. 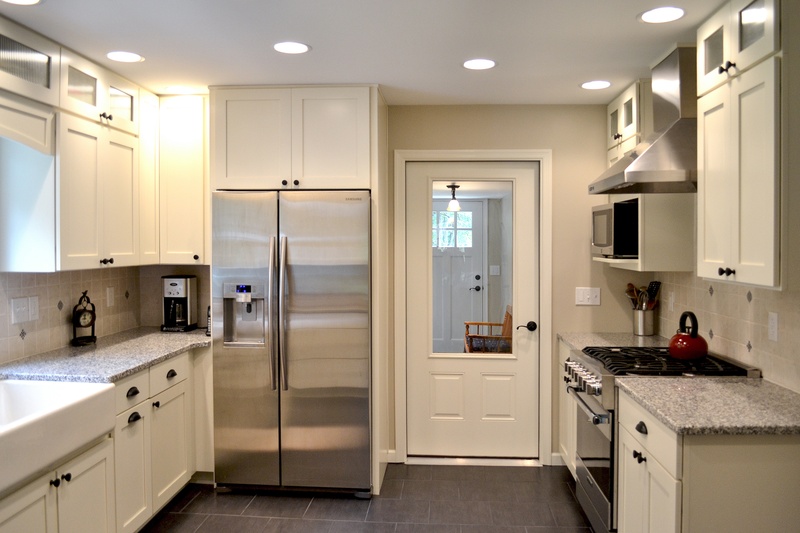 Make the most of that space by choosing to extend your new cabinets all the way to the ceiling. The cost isn't that much greater and you'll gain much more cabinet space. Sometimes we crave a change, especially in a room we spend so much time in, but we may not necessarily have the dollars to go full steam ahead with an entire remodel. The good news is by doing one or all of the below tips you can give your kitchen a facelift and ultimately transform the space in as short a time as one weekend! Splash on a fresh coat of paint – One of the cheapest and easiest ways to bring new life to your old kitchen is by changing the color scheme. You can change the color of the entire space or maybe just add a bright bold color to one wall and create an accent wall. It is still so funny to me how afraid of color people are in their space. In my opinion life is too short for neutral so pick a vibrant version of a color that makes you happy. If you are not sure what that color may be just open up your closet (aside from all the black we are all guilty of) it should jump out at you. You also have the option, though a little more elbow grease may be involved depending on your cabinet finish, but you can always….dare I say….paint your actual cabinets. Change or add a backsplash – Undeniably one of the biggest trends these days in kitchens is a flashy backsplash. A lot of older kitchens never even had a backsplash installed to begin with so hit your local tile distributor and pick a material i.e. glass, natural stone, etc. whatever you are drawn too and slap it up. It is one of the easiest projects for the DIY type and it can change the entire look of the space. Clean and De-clutter – A lot of our homes have a spare bedroom that doubles as a home office, or at least a designated office space but where is the clutter? Yea like every home in America it is in the kitchen. Take the time and de-clutter the space, throw out the blender from 1970 that sits on your counter unused collecting dust. If paperwork, magazines and old mail insist on being a part of your kitchen space perhaps organize it by using cute colorful boxes or bins. Kill two birds by hiding the mess and adding a pop of color. Update your lighting – Lighting can do wonders for an outdated space so think about changing old fluorescent strip lights with a sleek modern fixture or if your ceilings are tall enough replace a simple boxy fixture with an unexpected chandelier that can add sparkle and shine. Another easy addition is to add under the cabinet lights to help brighten the overall space.